The idea behind it is pretty simple… we’re stronger together. It’s a farm program that has its roots here in southern Minnesota. And on Wednesday they celebrated an anniversary by looking back… and looking forward. “It is a unique model that has not ever really been tried,” Greg Bohrer said. It’s a partnership based on the premise that not only can farm profitability and environmental responsibility coexist, but they can also make each other better. The Cedar River Watershed Project is Minnesota’s first public-private-nonprofit partnership providing farmers with resources to help them adopt new farm management strategies to improve the soil, water and economic health of their farms. 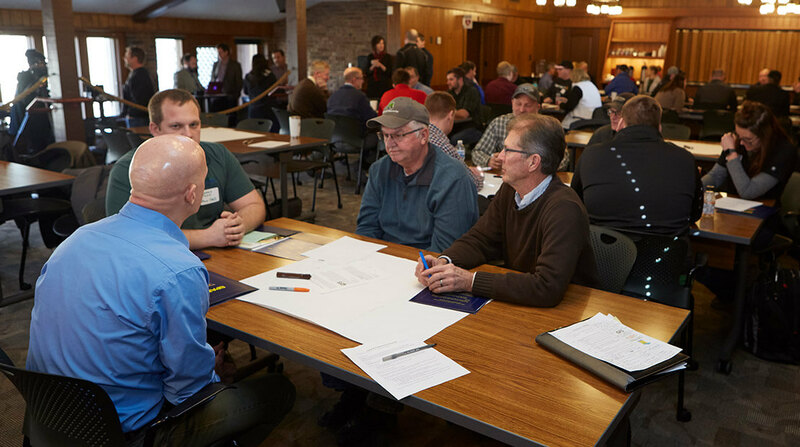 Farmers work with partners like CFS and “Land-o-Lakes Sustain”, and certification rewards them with specially-designated technical and financial assistance. “Our biggest goals are to help save soil, save the environment .. all that being said, we need to remain profitable,” Blooming Prairie-area farmer Jason Louks said. “And that’s really what this partnership is about is taking that intention and putting it towards impact by working together to support farmers” the Environmental Initiative’s Greg Bohrer added. The program was launched about a year ago.